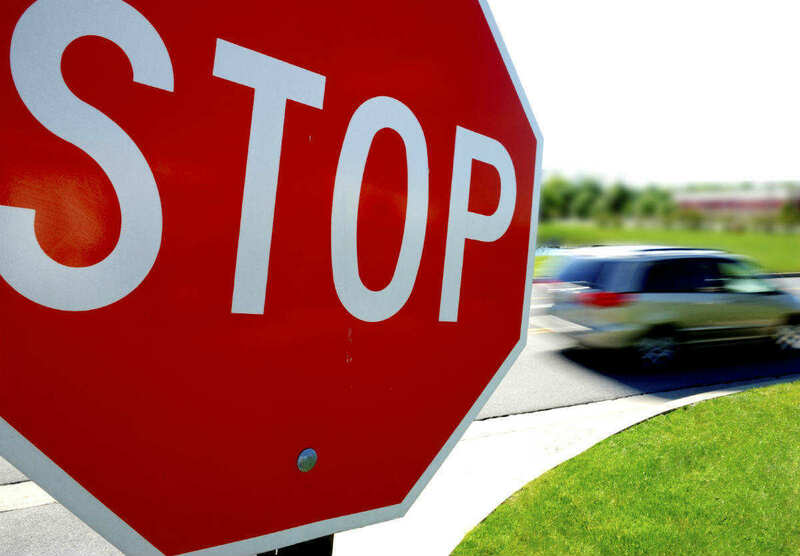 Speeding through a stop sign recklessly is a common cause of car accidents, but not the only reason why they occur with such frequency at a stop sign. Stop signs are in place not only to help control the traffic at an intersection, but in some cases to help keep the speed of moving vehicles down in areas that have a high pedestrian population, such as inside of a neighborhood or subdivision. Both 2 way and 4 way stop sign intersections exist, depending on the flow of traffic from all directions. An erroneous assumption that oncoming traffic also has a stop sign at a 2 way stop sign intersection is also another concern. This type of accident usually involves a driver who follows the law and comes to a complete stop. As they look both ways they notice an oncoming car but presume that it too will have to stop and continues forward right into its path. This leads to a side impact or T-bone collision, as the oncoming car crashes into yours. T-bone accidents are often catastrophic, especially for the car that was hit. Without the protection of the engine or back of the car to protect the driver and passengers, the impact is absorbed almost entirely by the driver and their passengers. Serious head traumas are common as are broken spine injuries as the body is jerked sideways in unnatural positions. If you are injured in a T-bone crash there is a high likelihood that your injuries are grave. We can help you seek compensation for those injuries if the other driver was at fault for the stop sign intersection accident. Another common scenario is failing to yield accidents, where the first car on the scene attempts to proceed through the intersection while a subsequent car is doing the same. Rear end collisions occur with great frequency at stop signs as well, usually resulting in whiplash injuries for the driver who was hit from behind. This low impact collision can cause serious soft tissue damage to the neck, requiring medical attention to help cope with the pain. According to traffic laws, it is compulsory to stop completely at all the stop signs. The drivers have to comply with the laws to keep the roads safe. So if an accident occurs because of a driver who does not stop at a stop sign, it goes without saying that he is accountable for the damages incurred. The plaintiff has to prove that the other party failed to obey the traffic rules and thereby caused personal injury to him. In order to counteract this claim, the defendant may try to shield himself by saying that the stop sign was not visible as it was hidden by the foliage or some other signs. So the plaintiff may support his claim with documents and statements from the witnesses which show that the sign was clearly visible when the accident took place. The defendant may be able to provide evidence that the plaintiff was also responsible for the collision to some extent. Then the plaintiff may be considered partially at fault and the jury will decide the percentage of his fault. He will receive a reimbursement after deducting that percentage from the total amount to be awarded. For instance, if a bicyclist was not riding within the bike lane or a pedestrian was not walking in the crosswalk when the mishap took place, he may be held partially responsible for the accident. The plaintiff can ask for a certain amount of compensation. In order to claim the reimbursement, he has to provide documents to show his expenditure. He is generally entitled to get a compensation to cover his medical bills (present and future, loss of income, and other expenses resulting from the crash). Determining fault in stop sign intersection accidents can be tricky and will often rely on eyewitness accounts and possible an accident re-creation expert. They use the damage from the cars and the injuries sustained to help paint a picture of how the accident occurred. Our team of car accident lawyers has helped dozens of victims of stop sign intersection accidents recover the compensation needed to pay for the resulting damages and medical care. Call The Hoffmann Law Firm, L.L.C. today and allow us to do the same for you!